Tomorrow sees the 25th Anniversary Edition of the Post Danmark Rundt, or the Tour of Denmark for all you non-Danish speakers. 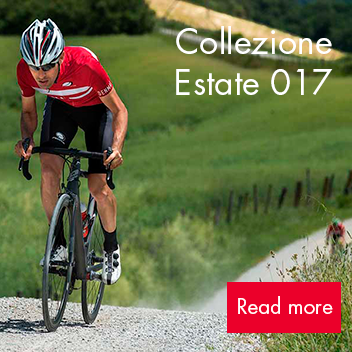 This prestigious 2.HC UCI event is a special one in the Parentini calendar – as the company have been supplying the leaders jerseys to the tour for many years now. Along with their involvement with the Danish National Squad, Parentini has a special relationship with Danish cycling. From the inaugural winner Moreno Argentin, many famous names in the sport have stood on the Danmark Rundt podium and pulled on a Parentini jersey – riders with the calibre of Fabian Cancellara, Mark Cavendish, David Millar, Simon Gerrans and Rolf Sorenson. But have you ever wondered about the logistics of these tour leaders jerseys? How the organisers manage to present a jersey with the riders team sponsors on them? And how the next morning that rider has a fully printed jersey, and even matching shorts etc? The key is preparation and forward planning. As part of Parentini’s contract with Post Danmark Rundt’s organisers, they have to produce and supply certain amounts of jerseys and skinsuits before the event starts. Unlike the Tour de France, that have two versions of their leaders jerseys (the podium versions are zipped at the back), Parentini supply short zip jerseys for each of the Tour of Denmark’s four competitions. This is so there is maximum space available for sponsors logos. Because, as soon as the stage winner or competition leader crosses the finishing line, one of the organisers will be busy back stage applying pre-printed and pre-supplied team logo panels to the front of the jerseys, ready to be presented on the podium. As you can see from some of the photos, these panels don’t look particularly permanent. This jersey is for the rider’s own personal use (usually added to the rider’s other mementoes in his trophy cabinet). For the next days’ stage, the rider is given a jersey, which has the team logos etc overprinted. This is usually done overnight, ready for the start in the morning. As the Tour of Denmark usually features an individual time trial, a skinsuit also goes through this process. Being a smaller ranked Tour, and therefore not having the same global media exposure as the Grand tours, teams don’t go to the extra mile with colour co-ordinated kit or equipment in Denmark. However it has been known, especially if a team has a Danish rider who has pinpointed Danmark Rundt as their objective for the season. In this instance, the team will approach their kit and equipment suppliers in advance of the Tour for yellow helmets, shorts, bar tape etc to embellish their special rider and really make them stand out. In some of the Grand Tour’s, it has been known for bike sponsors to spray a bike overnight and drive it to the Tour start, for the all important photo opportunities, The resulting media exposure is more than worth the overtime for the bike sponsor. Leaders jersey – this bears the main sponsors logo – Post Danmark (the National postal service), who have sponsored the Tour since 1995. This is the traditional yellow colour of Tour leader. Points jersey – sponsored by PostNord, a Nordic logistics and postal company, this jersey uses the companies striking brand colour. Mountains jersey – sponsored by Novo Nordisk. This global healthcare company specialise in diabetes care, and sponsor their own elite cycling team. All the squad’s riders have diabetes themselves and will be riding the Danmark Rundt. U23 Youth Jersey – as well as supplying the cars, Skoda are also sponsoring the leader of the U23 competition. The Tour of Denmark usually features a strong line-up, and this year’s 25th Anniversary edition is no exception. Many of the World Tour teams are riding, along with some strong Pro-Continental squads. Smaller Danish Continental squads are also represented, along with the Elite National team (who’s kit is also made and supplied by Parentini). It’s these smaller National teams that really animate this Tour, keen to make a name for themselves and get their sponsors much needed TV exposure. Click here for the latest Start List. Our intention over the five days of the Post Danmark Rundt, is to feature every days podium presentation – so you can keep up-to-date with the competition leaders. But if you can’t wait, Eurosport are showing the race live every day from around 2:00pm BST.